While we were on break (true MobeHeads know it, we were off in August), publishing veteran, stalwart bookseller, and Melville House neighbor Susanne König was named the recipient of the first Frankfurter Buchmesse (Frankfurt Book Fair) U.S. Booksellers Prize for her work as executive director of both Dumbo’s PowerHouse Arena and Park Slope’s PowerHouse on 8th. 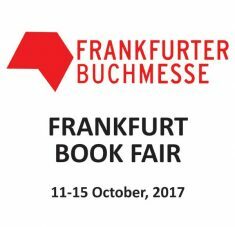 The prize comes with an all-expenses-paid trip to Frankfurt, Germany for the Frankfurt Book Fair. We chose Susanne König as the first recipient of this award because she has done a great deal for international literature in her store, and has always been a strong advocate for German books in translation. Susanne sits on the US jury of New Books in German, and has collaborated with the Festival Neue Literatur for several years. She truly stands out among her colleagues as a champion for translated books.